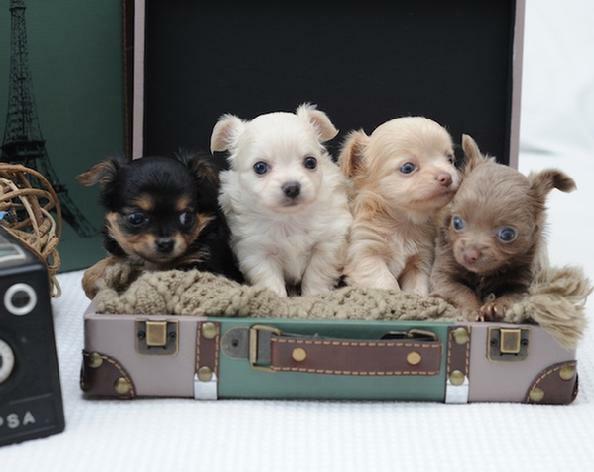 The Cutest Chihuahuas on the Planet ! Our business specializes in matching healthy, well socialized and quality Chihuahuas, ensuring customer satisfaction is a key goal of our company. Planet Puppy has cute little puppies for everyone. We specialize in Chihuahuas puppies that are home raised with love. We offer short hair, long hair, and all of colors! We hope you can find a little one to be a special part of your family. We mostly place puppies in homes around the Dallas / Fort Worth area.Please, before purchasing your new puppy read carefully our policies. We have many puppies throughout the USA and some in other countries. We take special care in arranging safe travel for all of our air bound pets. We typically ship our puppies through the Pet Safe Program with United Airlines. Our price starts at $295 including the kennel and certified vet visit prior to shipment.